Install Texas Ponds Company Repair Texas Ponds Contractors Water features Texas Ponds Builders Repair Liner Texas Pond Remodel Company Backyard Fish Cost Build Texas ponds waterfalls streams Texas Ponds Water features Texas Ponds Builders Repair Pond Liner Leak Texas Pond Remodel Company Contractor Backyard Fish Cost Build our natural Texas ponds waterfalls streams Install/Build Texas Ponds Water features Texas Koi Pond Builders Replace Pond Liner Texas Waterfall Company Contractor Replace Pond Pump Texas Fish Pond Cost. ponds Light, garden ponds Maintained, Texas vanishing waterfalls, babbling brooks. Clean Texas»» Ponds Remodel. We only use the highest quality products to build our natural Texas ponds, waterfalls, and streams. Our water features are low maintenance and chemical free and are built to meet your design and backyard landscaping needs. 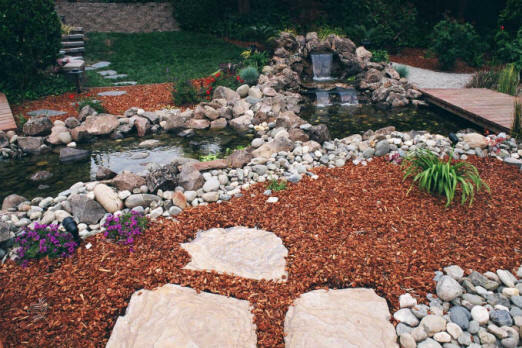 We will create a beautiful, low maintenance Texas pond with koi fish, a waterfall, and a stream that you will really enjoy. In addition to the aesthetics of the Texas water features for your Texas Koi Ponds is the recirculation and treatment of the water. Recirculation allows the lower basin of water to be pumped to a pond or basin, then allowed to flow over a waterfall or into a spillway or stream. Aeration maintains the quality of the water, Insuring that the water allows for the habitat of aquatic plants and fish. When one of our Texas pond installations is complete, the rock, boulder, and plant design look completely natural. The waterfall circulates the water and adds a wonderful soothing relaxing sound. Replaced the liner and cleaned out our old pond.